Well the bite was on today for sure. Wind was out of the southeast at 10-15 knots and partly cloudy making visibility tricky throughout the day. Quick report today. We kept 13 mahi with the biggest weighing 31 lbs, 2 small blackfins, released 3 sailfish and lost a sail and a white as well as missed one other sailfish. Great fishing! We are off for about a week but hoping to slip out and get into the action on another boat at some point. Today we made out way out at 8am and the weather was perfect. Wind out of the SE at 5-10 knots, sunny skies and calm seas. The day started slow but we did manage to get a release on a white marlin which turned out to be Will’s first white marlin. Congratulations Will!!! We did a great job on the reel and got a clean release. The bite stayed slow with just some barracudas killing our baits here and there. Later in the day around 2:30pm we had a blue marlin all over the right teaser that we ended up switching and having tackle failure (major bummer), but we went into a turn and ended up getting into some mahi and got the blue back up on the right teaser but never switched off. 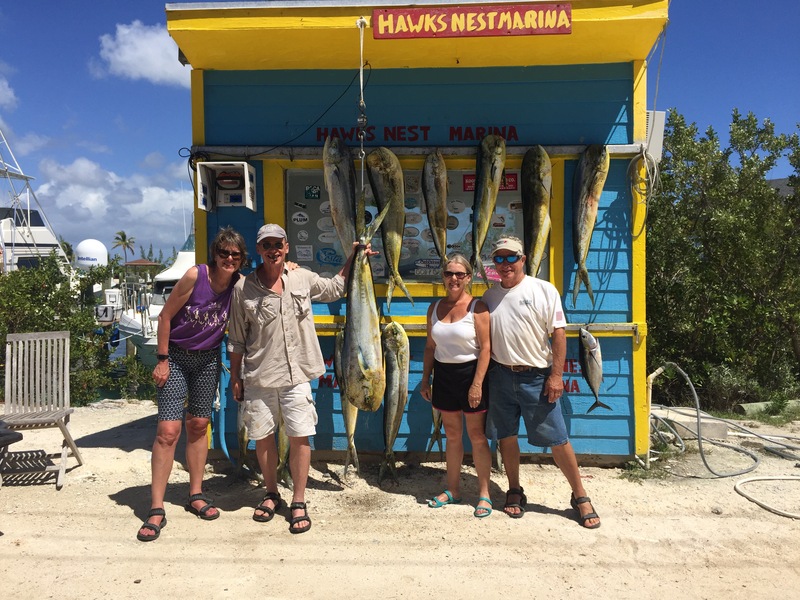 We caught another mahi and called it a day. Today we had the wind blowing 15-25 all day out of the SE and a beautiful sunny day! Water temps seem to be holding at 78 degrees and pretty Bahamas Blue all along the edge today. The action started off fast and furious off of devils point shorty after lines in at 750am. The mahi were everywhere. We got into some 15-20 pound mahi on light tackle spinning gear and managed to put 6 in the box in no time. We made out way along the edge dealign with barracudas now and then and a stray mahi, but otherwise action was slow. We made out way out past Columbus Point and got a white marlin up n the spread. The white piled on the left flat line with a ballyhoo and DownSea Blue Party Hat, but somehow the leader parted effortlessly – very odd – but the fish didn’t feel anything so we made another pass and we replaced the bait with a blue and white Fish DownSea partySkirt rigged on a ballyhoo and up came the white again. It piled on and game on. Bob got a clean release on the white. We worked our way back plucking at a mahi hear and there until all of the sudden the sails came in thick. We hooked one up on the right flat naked ballyhoo, then immediately after we got one on the left long ballyhoo rigged with the DownSea Blue Party Hat. Not too long after the right long went off and there was our third for the triple header sails. We got a clean release on all 3 and that was the end of the day! 1 white marlin, 3 sailfish, and 10 dolphin. 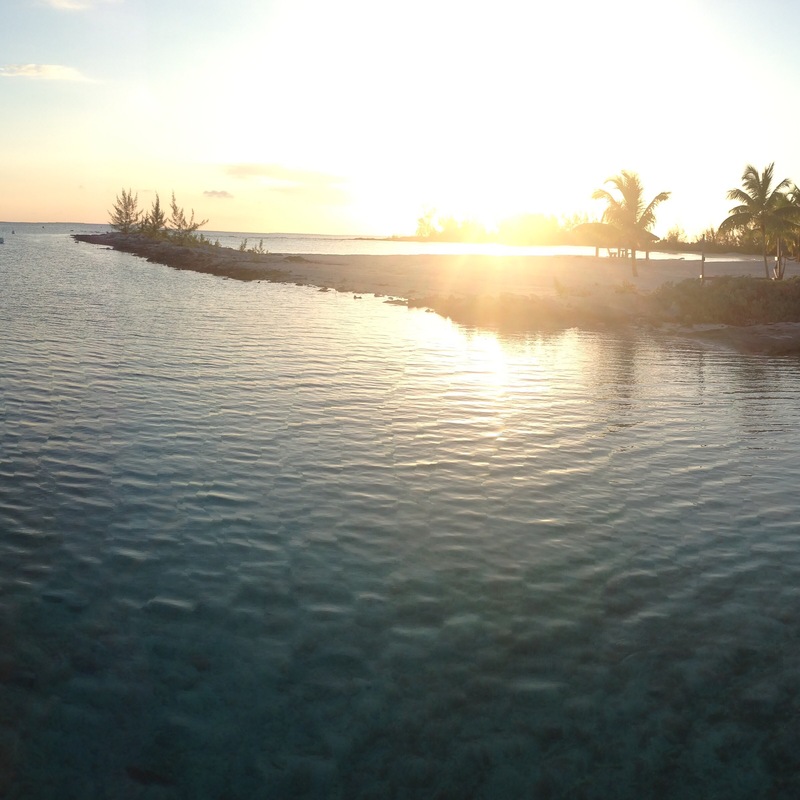 Today was our first day fishing here in Cat Island, Bahamas on the 54′ Bertram OverUnder. The wind was blowing at about 15-20 knots out of the east and the weather was partly cloudy and in the upper 70s. With the FULL MOON having been yesterday I was anxious to see what would bite. We started our day on the troll around 8 am. It didn’t take long to catch 1 sailfish out of a double. We picked at a dolphin here and there but otherwise action was slow. Around 1pm we got into a flurry of dolphin and picked at them here and there until we hooked into a white marlin and got a solid release. Since this was a perish day to work out any kinks before we start fishing a lot we called it a day early. Not a bad start (1/2 sails and 1/1 whites – plenty of dolphin). We arrived in Cat Island late Saturday. Very uneventful boat move – my favorite kind… Just been getting prepped and ready. We should be getting to the fun part here at the end of the week.